After 10 days of looking back on the history of Listen & Learn Music, I couldn’t end this party without a little talk about the future around here. We’re officially into Year 11, and its off to the best possible start. The countless emails, social media posts, and words of encouragement throughout the “L&L Turns 10” celebration have completely lit me up and gotten me more excited than ever about the work I’m doing. So many of you have thanked me for the musical gifts I’ve given you over these past 10 days, but really, it’s me who should be thanking YOU. The second half of 2018 has been a huge turning point for Listen & Learn Music. 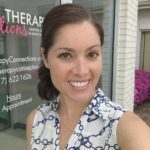 In June, I welcomed fellow board-certified music therapist Cacia King as my first official team member, and she has brought such a wealth of knowledge and experience with her. Thanks to Cacia’s hard work, I’ve been able to launch two brand-new additions to the L&L toolkit: facilitation guides and a comprehensive song directory. These were the two pieces I felt were missing from my membership, Listen & Learn Plus, and I know they are going to improve the user experience exponentially. The selling part of this job is my least favorite, as I would much rather be spending my time creating. Listen & Learn Plus feels like a good compromise, because once inside, members receive value that I feel far exceeds the price of admission. And that’s why I’m wrapping up the party with a membership drive: one last opportunity for new members to join me and gain access to the entire collection before I close the doors until 2019. After Friday, my focus will be on writing/recording and sharing musical resources with my membership community. Of course, I’ll be posting new songs and content here on the blog, but I want to give away the farm to those who invest in themselves, their students and clients, and their profession by joining Listen & Learn Plus. If you participated in the “L&L Turns 10” celebration, then you already know about the breadth of resources available to members. But to fully understand just how you (and in turn, your students and clients) can benefit from joining, I encourage you to take a closer look. There are two membership options: Standard ($27/month) and VIP ($247/year). The main difference is the pricing structure AND the fact that VIP members have access to all current and future CMTE courses (currently a total of 18 CMTE credits valued at over $400). After Friday, however, the VIP membership will no longer include CMTE course access; courses will only be available as additional purchases ($75 each). As a Standard member, there is no minimum length of time required, though most members stay on for at least 18 months (and I even have a few who have been with me since I started Listen & Learn Plus back in 2009!). And if you still have questions? Please don’t hesitate to reach me directly via email, rachel@listenlearnmusic.com. I’m so excited about what this year has in store at Listen & Learn Music, and I want you to be a part of it, too. Thank you very much for sharing your music and ideas !!! I can’t wait to try the songs !!! Good luck for the futur.